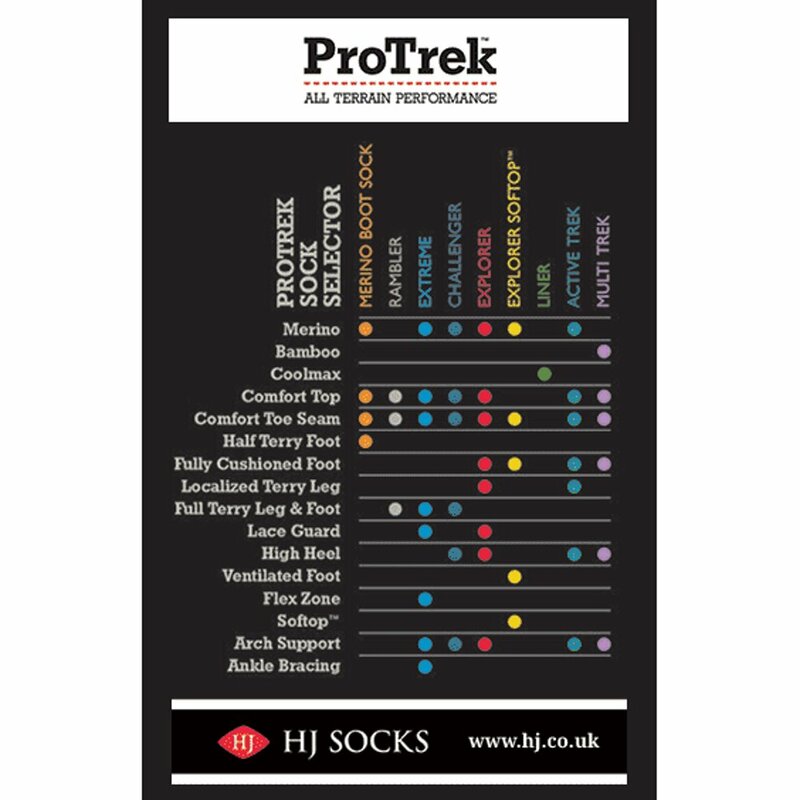 A hand-linked toe, lace guard, high heel and double comfort top along with the high merino wool content make these HJ ProTrek Explorer Socks ideal for serious hikers and explorers! 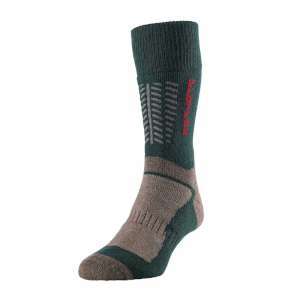 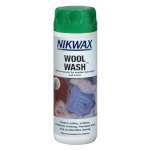 The use of merino wool in these socks make sure that they are naturally anti-bacterial while offering excellent moisture control and thermal properties for a comfortable and warm wear on your next adventure. 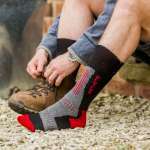 The fully cushioned foot, comfort toe seam, comfort top and the arch support will ensure the best possible fit and comfort for your feet wherever you choose to explore!